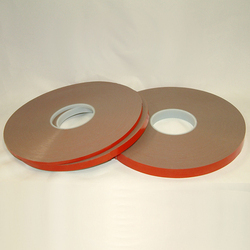 We manufacture high quality of high bonding fiber tapes which are very high in water and moisture resistance and used for bonding and sealing any surface wood, metal, plastic and glass. 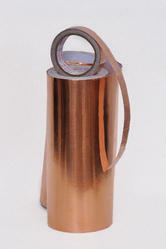 These provide high safety and security to components of high heat as they can withstand really high temperatures. Its water proof quality makes it all the more durable and convenient to use in difficult conditions. We are engaged in manufacturing and supply of copper tapes which are widely used in coil form in switch terminals and electric conductor .These are high on efficiency and durability also. It is popularly used in earthling and underground industries, manufacturing of transformers and shielding various electronic components. These are available in both straight lengths and coil forms. 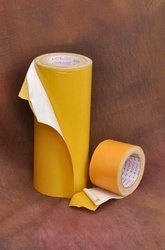 We manufacture and supply high quality wrapping tapes which are known for their anti corrosion properties and also are non inflammable. 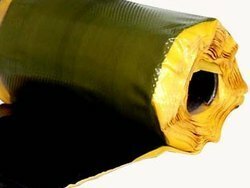 These PVC film coated with a high mass of specially formulated pressure sensitive adhesive is conformable for surface contours. 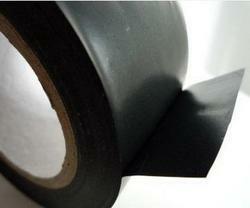 The tape can be applied to both flat & irregular surface. This can also be used for water related stuff both above and underground due to its water resistant quality. Can be used even underground. Water resistant. Anti corrosion. Long life and easy application. We manufacture fiber glass with best quality raw material. Our range is durable and long lasting. These are highly appreciated due to efficient adhesive properties. These glass fiber tape & yarn do not lose their shape as well as elasticity for a very long time due to its durability. These are also used in ceilings and walls for FRP linings, coating with epoxies and other chemicals. Do not loose elasticity easily. Low on adhesive as its usage requires. Doesn’t leave any adhesive marks. Available at a competitive price. Antislippery tapes are used to avoid slipping down on greasy, glazed & smooth surfaces. Useful in hospitals, Banks, and offices. 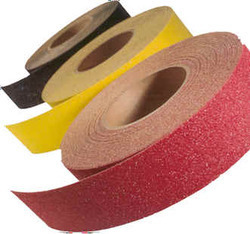 We manufacture much in demand foam tapes for long time and they are highly effective in insulating, sealing, cushioning, in various automotive and industrial applications. 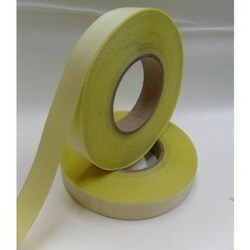 These foam tapes can also be used in place of pump able sealants to prevent intrusion of liquids, sound, air and gases. They really need no maintenance or cleaning and resist to compression and can be applied with hands. 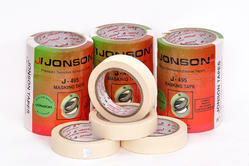 Jonson Make Demarcation Tape is used everywhere for marking special areas. It is used every where from Banks to Furniture Stores to Factories. They can be as simple as rope strung acreoss an opening, or a welded framework protecting people from an open manhole. Most of these barricades are just guides to maintain an orderly flow, such as poles with banners connected together in a bank, Factories, Offices etc. JONSON FILLER BOARD is processed from cane fibre,Impregnated with Bitumen in various percentages, it is a perfect base material for expansion joint fillers. 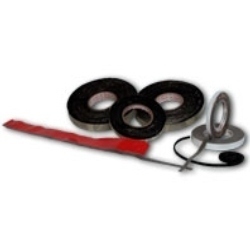 We manufacture fine quality of rubber cushion tapes which are widely used for many industrial tasks especially in wet and high moisture and wet places. It also has a high usage in submersible pumps and electric connections and due to its resistance to water it also helps in providing required safety from minor accidents that may follow. JONSON Board Expansion Joint Filler is manufactured from water resistant, bitumen impregnated, cane fibre. It is available in a wide range of sizes, both as boards & strips in thicknesses of 20 MM, 25 MM. with pressure sensitive adhesive coated on both sides. Available in different thicknesses as per requirement. Used in glazing / cladding applications.